The Indian netball team complained about the lack of support from the government to take the sport ahead in the country. The skipper, the vice-captain and other players of the team have commented on how they faced problems while preparing for the Asian Netball Championships. 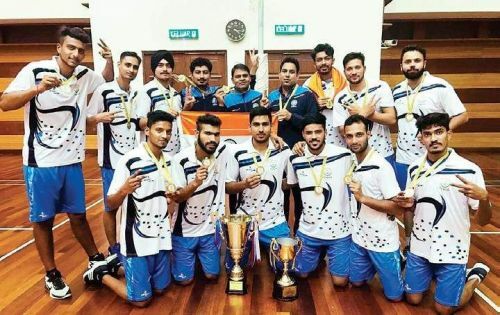 Earlier in this month, the Indian netball team defeated the Pakistan team by a score of 51-50 to win the Asian Netball Championships 2017 held in Malaysia. C Chethan, a member of the team complained about the lack of a proper training facility, as they have got an outdoor court despite the fact that their team plays an indoor sport. This also let to the team not being able to practice, due to the pollution levels in Delhi. Aman, the skipper of the Indian netball team also pleaded with the Sports Minister Rajyavardhan Singh Rathore to take a look at the situation. He believes that more such medals at the international level could help the players get support from the government. “If he hears our problems, things will be better. What we can do is keep on winning medals at the international level. Perhaps people will notice us. As for our state government, they have scholarship programmes for athletes, and I hope they will support us,” said Aman. It will be interesting to see if the government decides to act on this desperate call for help from the Indian netball team. The Indian netball team is making the nation proud and the government should step in and help them. This talented side could win more championships and has the potential to popularise the sport in the country.